What management styles do you work best under? Does this match the type of management that they could expect to experience if they got the job? Again, this will help you find out if they will fit into your existing team structure. Finding out how they turned a situation around can tell you a lot about an individual. It also lets you assess what they perceive to be a ‘challenge’. It’s always good to find candidates who are proud of their work and this gives them a chance to shine. 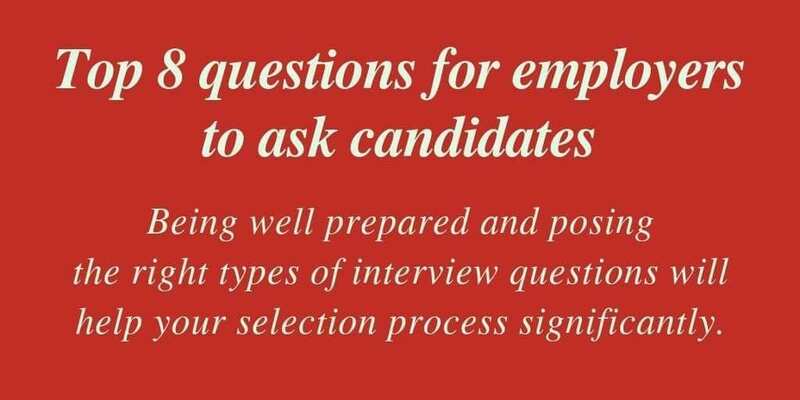 This question will help you gauge whether the candidate will be able to handle the goals you have in store for them. Ask follow-up questions like, “what did you do to achieve them?” Have the candidate walk you through the process and purpose of the goals they set out for themselves. This seems like a very simple and obvious question to ask at the end of an interview but it is surprising how often it gets missed. The type of question/s (or lack of) will give good insight into how much research they have done and also where their interests lie. For any additional advice and guidance on interview techniques/questions, please call us on 01242 300338 or drop us an email at hello@hoorayworks.co.uk and we would be delighted to help.